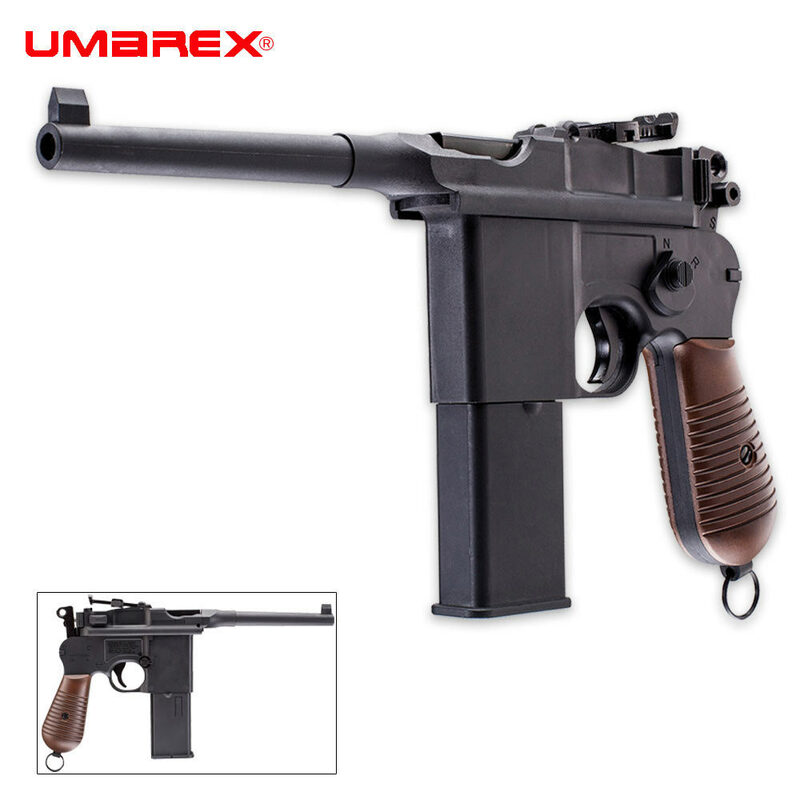 Umarex Legends C96 Air Pistol | BUDK.com - Knives & Swords At The Lowest Prices! The Umarex Legends C96 air pistol delivers 380 FPS velocity, and offers a blowback system, 12g CO2 power, a realistic metal barrel and 19-round capacity. Includes fixed front sight and adjustable rear sight, a manual safety and smooth bore barrel. I was really disappointed upon opening the box that this was NOT made of metal, I mean for close to 100.00 dollars it should be IMO. It states in description full metal barrel but I guess that refers to inner barrel. If it where half the cost I would keep it but it has no heft to it at all, very cheap plastic feeling. Feeling sad as my Umarex PPK/S was very satisfying to hold and shoot. wooks and fires as quick as I can pull the trigger. looks and feels like the real ww2 pistol. This is a superb reproduction - excellent quality throughout. I highly recommend it to any WWI and WWII collector.